Lory Joy Ablola’s images are impressionistic records of bustling city life, capturing crowds making their way through labyrinthine streets, vehicular traffic, and sites and landmarks defining the urban setting. She was born and raised in the city and working in an office setting for years before devoting herself fully to painting, she collected vivid memories of the daily commute and fleeting encounters with countless anonymous people in transit. 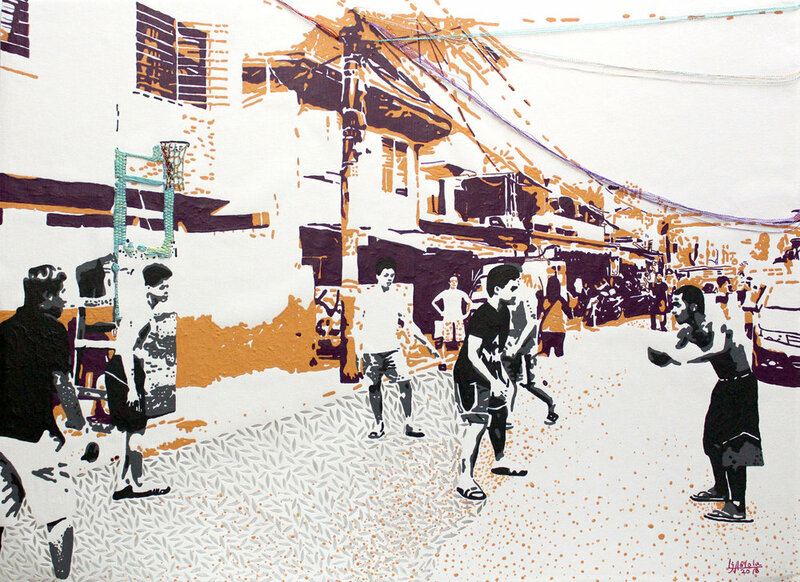 Lory Joy renders the moments by juxtaposing fluid patches of flat, solid colors, a technique which she first explored as a graphic artist in digital media. The artist’ssensitivity to materials has become more evident recently as she experiments with adding more visual interest to the painted image through a variety of methods. She cut the paper into strips that seem to dissolve segments of the plane, or into lace-like patterns that produce more intricate textures to merge with the play of contrasts in her colors. 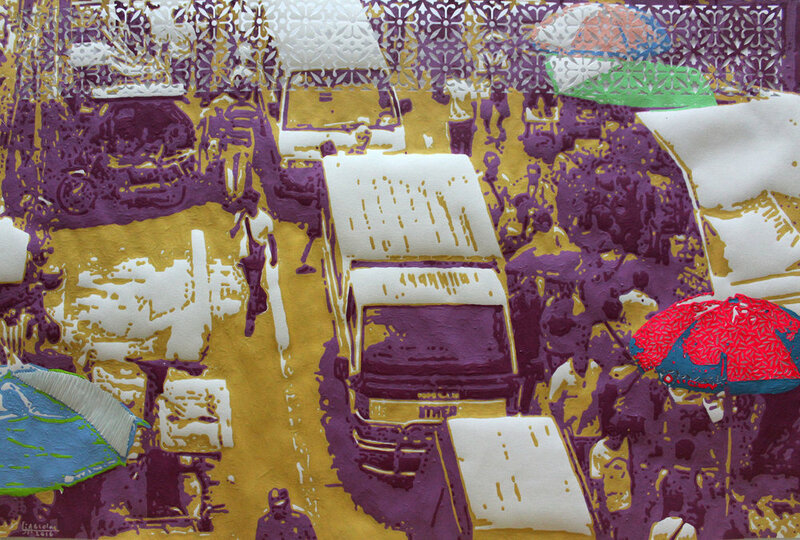 In other works, Lory Joy introduced embroidery in which stitched elements not only expand the range of my media, but also temper the mechanical feel of city scenes. Lory Joy Ablola (b. 1979) took up Bachelor of Fine Arts Major in Advertising at Far Eastern University (Philippines). 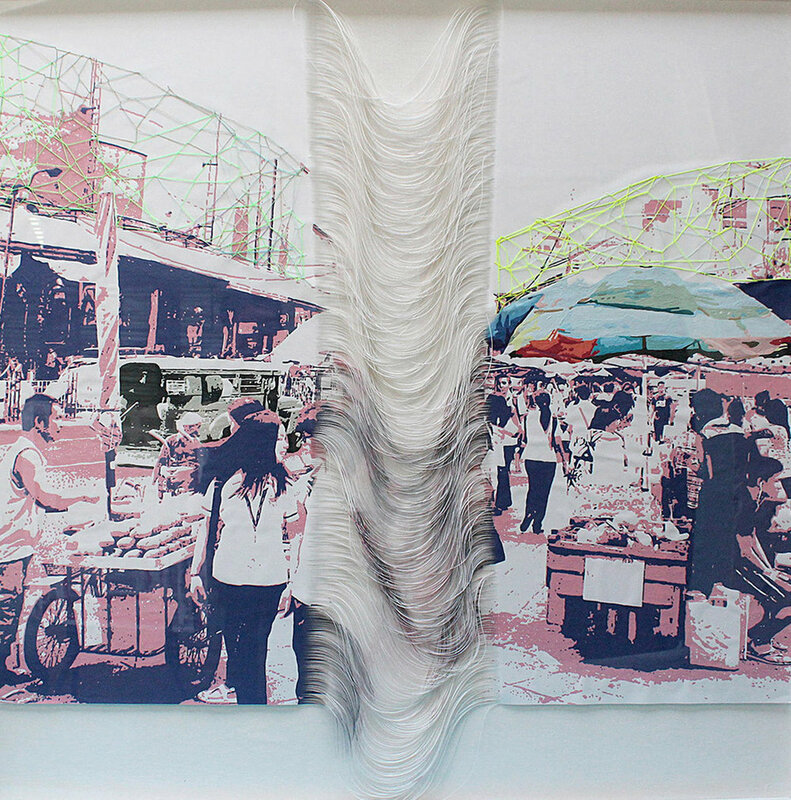 She has exhibited her works in Singapore, Korea, Tokyo, Manila, and Italy. She currently lives and works in Manila, Philippines.